Mom-Made is pleased to offer timeless embroidered handmade Christmas Stockings! Lined with soft white satin, these large traditional stockings are made of luxurious velvet that is hand-quilted with batting on the front side. 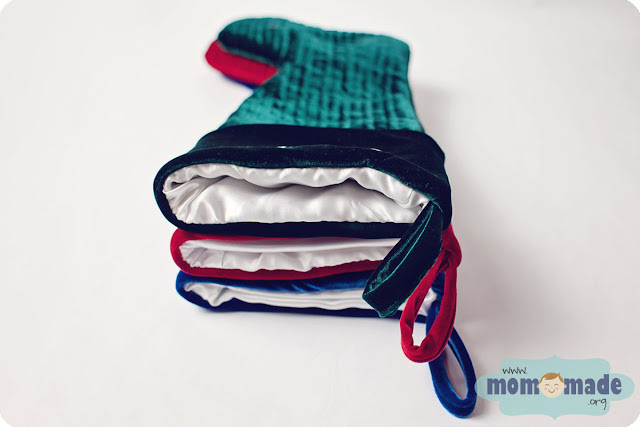 Each stocking measures approximately 8 inches wide and 19 inches long, and includes a 3 inch velvet loop for hanging. The cuff will be personalized with the name of your choice. 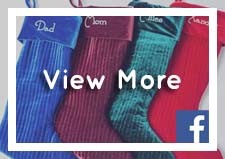 Inspired by the classic stockings of Pottery Barn, your family will treasure these heirloom stockings for years to come! 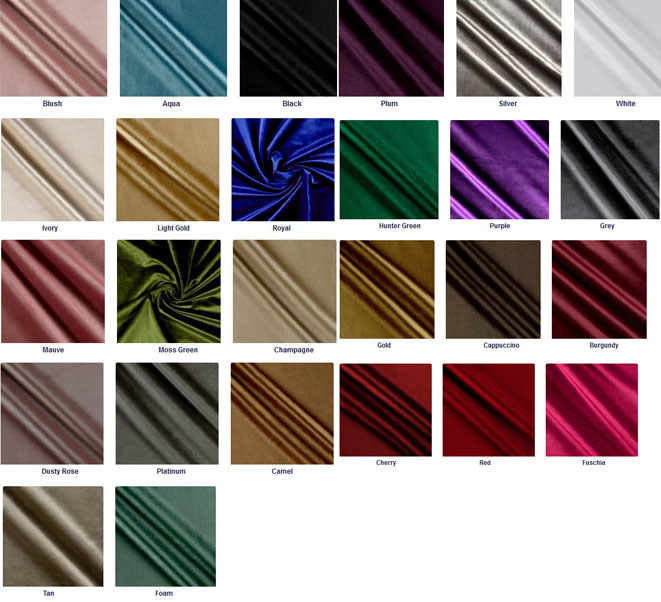 Available stocking colors: Aqua, black, blush, burgundy, camel, cappuccino, champagne, cherry, dusty rose, foam, fuschia, gold, grey, hunter green, ivory, light gold, mauve, moss green, platinum, plum, purple, red, royal blue, silver, tan, white. Stocking will be embroidered in the center of the cuff with white thread unless you specify another thread color. Mix and match colors for your entire family! Please indicate the name to be embroidered (8 characters or less). 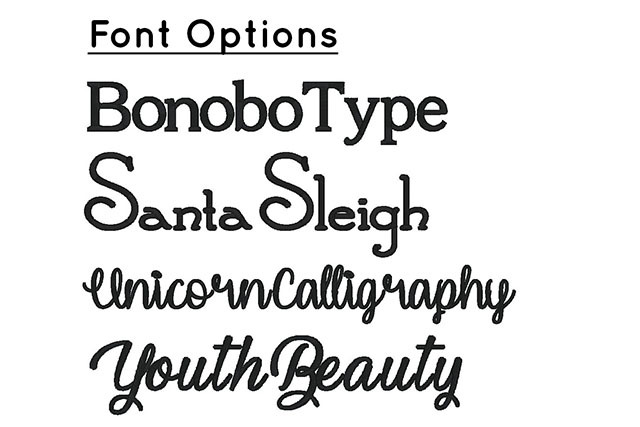 Please allow three to four weeks (plus shipping time) for custom stocking orders. "I just opened the four, absolutely beautiful stockings that you made. Wow. Each one is a work of art - the fabrics are gorgeous, and the workmanship is amazing. Thank you, so very much. You are indeed a very talented seamstress! I know each one of my family members will be thrilled." "This is a beautifully made stocking!" "My friend is AMAZING! Check out these beautiful velvet stockings she made for my family. Thank you SO MUCH Sarah! 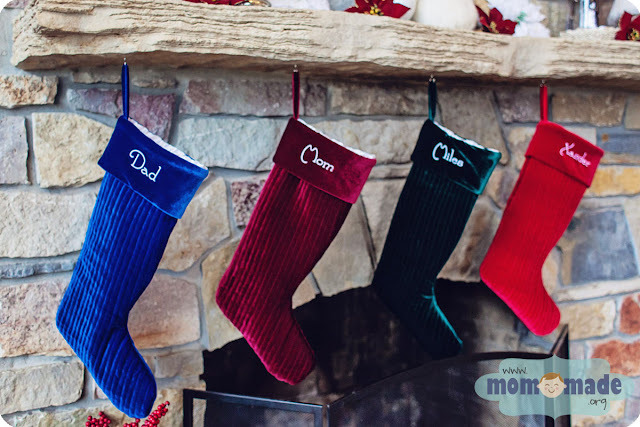 My kids will be excited to have personalized stockings this year!" "I absolutely LOVE the stockings & can't thank you enough for making them!!!!"